If I my interject, please only post to this thread with your actual CAD and chair info. This thread is kept as a sticky for a reference tool. If one has questions, start a new thread and if need be link to this thread in the new post. I sent this as my order form. - please do not install or drill holes for carbon fiber footplate. I may or may not install it, but please include it (w/ screws) with the chair. But i`m really in love with mine, so i`m not hurry to change, in reality i don`t want to change but ... maybe this summer i will go to Oracing factory for do the first one. 24â€� standard Spinergy wire wheel. The integrated push handle is too high and the looks is not smart, is there any alternative for integrated push handles? I`m a bit confused, i`m going to order a zra and is for a quad, that brakes are uni-lock? if i can see one each side, i thought you only have one brake level that you lock the two wheels, something like Pantheras. What is the best Tilite brakes for a quad that dosen`t be in the way for do transfers? I think the brakes of the pic are ok. This is the first ergo Lasher ordered, built. Just one question, looks like you are thinking in using a solid seat pan, if not, i don`t understand why the straight tube under your cloth uphostery seat. Last edited by totoL1; 02-07-2012 at 12:34 PM. Sorry, attachments failed - way too large. I know we are trying to keep this focused so please forgive me for asking this question here and if it needs to be moved to another thread I understand. I love those wheels, rims, and hand rims. 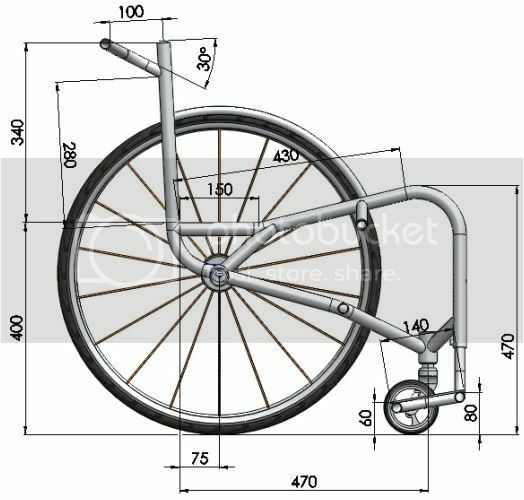 I currently have Spinergy Spox with Aluminum hand rims and high pressure tires. What is the benefit of the carbon fiber handrims and the different wheels compared to mine. Same 25". 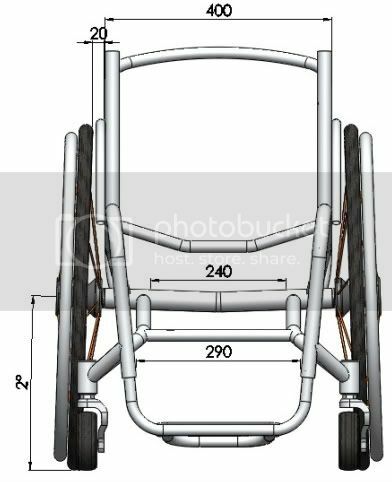 BACK HGT 12â€�â€“16.5", SET @ 14"
FRONT CASTERS: Upgraded to 5 x 1.4 R6 FLAHSRs, available special order from Frog Legs to fit TiLite Slipstreams equipped with 1.5â€� axles and plastic/poly casters. Conversion requires 1 allen wrench and 2 minutes of time. CAMBER CLAMP: Mounted more aft on the camber strut than usual. The center line of the camber tube runs up thru the extreme aft portion of the strut rather than thru the center, per the CAD. SURGE LTs: A good wrap for 8â€� (base of palm to middle finger tip) average-sized hands. The short tabs work well. The upper and lower thumb flank rests close against the tire sidewall for more grip when needed, the narrow rim-to-tire gap is totally thumb-friendly.